What are limitations of Obstetric Ultrasound Imaging? Obstetric ultrasound cannot identify all fetal abnormalities. 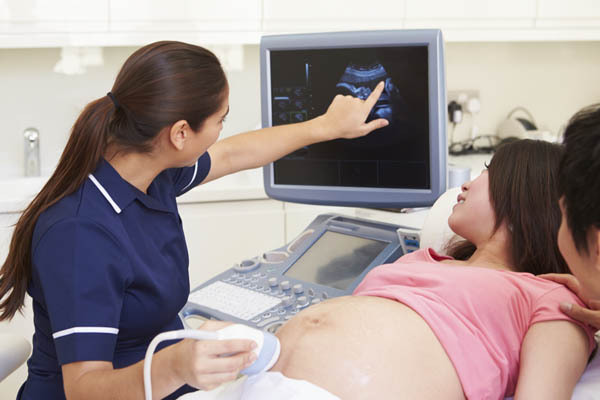 Consequently, when there are clinical or laboratory suspicious for a possible abnormality, a pregnant woman may have to undergo non radiologic testing such as amniocentesis (the evaluation of fluid taken from the sac surrounding the fetus) or chorionic villus sampling (evaluation of placental tissue) to determine the health of the fetus. It is important to remember that a normal ultrasound examination cannot guarantee a normal foetus, thus it does not always mean your baby will be born without any abnormalities. Generally the best time to look for chromosomal defects is within 11 to 14 weeks of pregnancy and the earliest time for birth defects is between 18 to 22 weeks of pregnancy. However, some will not be evident until in the pregnancy. Anatomical areas such as the heart, the face and the hands are difficult to assess and not all defects are detectable. Other factors such as maternal build, scars from previous surgery, and the way your baby is positioned may limit the diagnostic ability of the scan.